Many restaurant owners say that recruiting catering staff is the bane of their lives. More often than not, they say that recruiting catering staff for their restaurant is far harder than they thought it would be and, even when they have recruited the right person, they don’t stay very long. Restaurant owners regularly find that their chefs are surly, come in late and have a stinky attitude. They find that junior catering staff, such as sous chefs and commis chefs, all too often have aspirations to be a celebrity chef way beyond their plans to work their way up by peeling, chopping and washing pots and pans. Of course, this paints a terribly unfair and clichéd picture of recruiting catering staff and many restaurant owners find the perfect catering team quickly and easily. You may be lucky enough to not need to use an expensive employment agency as you have found a great chef with a sunny disposition. If so, you do not need to read on, just be smug in your good fortune. However, if that is not your experience thus far, here are some ideas on how to find the right catering people for your restaurant. There are a large number of employment agencies that either specialises in recruiting catering staff or are general agencies specialising in your local area. Go on line to find out information about them – usually you will be able to see the type of people they recruit and their fee structure. Ask around your friends and business contacts to see if they have used a recruitment agency before and whether or not they would recommend them. Even if they have not found good people through agencies, you can at least learn from their experiences as people are often happy to share advice. Before you commit to using an employment agency – and remember they are usually target driven sales types desperate to pounce on you – ask to speak to someone and get an understanding on who they are and how they work. Ask about their fee structure before you find the perfect person, or you will be held over a barrel and your negotiating ability will go out the window. A great way to find an up and coming catering star is to go to your local college. 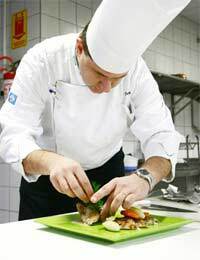 Most colleges offer some sort of catering qualification and most will have an on-site restaurant where you can taste the skills of their students. Speak to the tutors and find out who is about to leave and is looking for full time work. You can also find excellent junior catering staff that are looking for part time employment, seasonal employment or even a day release placement. You may be able to recruit a few people on day release that would be able to cover the whole week. Bear in mind that students are often keen to earn some extra money, so sisters, girlfriends and friends will make great waiters and waitresses, too.